If you can remember about 5 years ago, KFC was trying to revolutionize their menu by offering a radical way to eat a chicken sandwich with the Double Down. It replaced the bun with two pieces of fried chicken with a bacon and cheese sandwich in between. 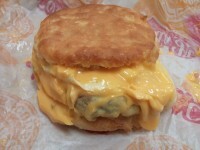 I, like many of my fellow fast food adventurers ventured over to KFC to try the concoction known as the Double Down. Was it crazy, or crazy genius? Unfortunately, it wasn’t that great. The chicken was too greasy to be eaten with just your hands, and the entire sandwich was way too salty. After a few months and a huge marketing blitz from KFC, the Double Down was eventually shelved, likely to reappear some years later. That time has no arrived, but this time, instead of a chicken sandwich, the chicken is now “wrapped” around a hot dog. Behold – The Double Down Dog. 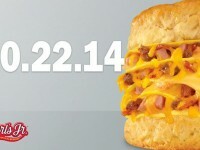 Unfortunately for you, the Double Down Dog looks to be just a marketing ploy to get people talking about KFC. They are only offering 50 per store today, and only in participating stores in the Philippines. 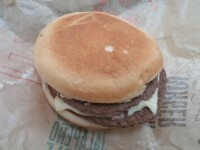 You are most likely out of luck on this one (until KFC decides to bring this to the states). 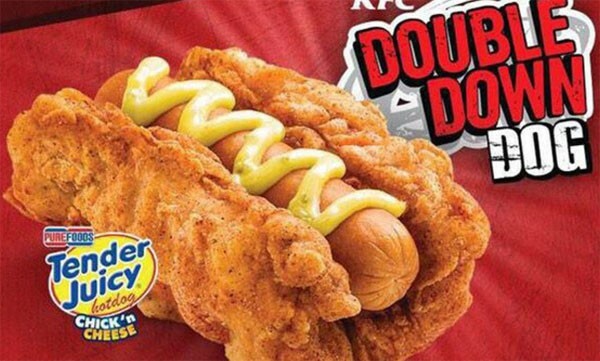 However, based on the actual pictures coming through from actual orders of the Double Down Dog, the actual execution of the product is sketchy at best. Here at FastFoodWatch, we don’t quite understand all the physics in wrapping a hot dog in a piece of chicken, but it appears KFC needs to do some more product testing.